In his acclaimed first book, Leaving Microsoft to Change the World, Wood explained his vision and the story of his start-up. Now, he tackles the organization's next steps and its latest challenges-from managing expansion to raising money in a collapsing economy to publishing books for children who literally have no books in their native language. 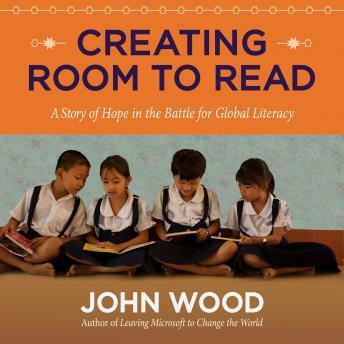 At its heart, Creating Room to Read shares moving stories of the people Room to Read works to help: impoverished children whose schools and villages have been swept away by war or natural disaster and girls whose educations would otherwise be ignored.